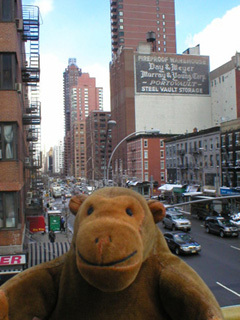 "That was a great ride"
The tramway terminal is a couple of floors up, which gave Mr Monkey a good view up Second Avenue. 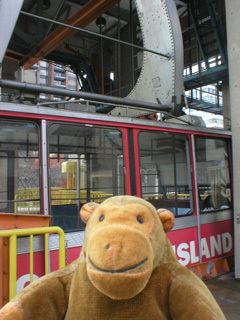 He was interested by the painted sign for the fireproof warehouse, and wondered if steel vault storage is still on offer. Then he set off down the stairs onto the street.